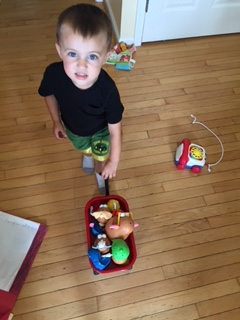 My name is Suzanne Tieder and I'm the proud aunt and godmother to Andrew Trouts - my loving, joyful three year old nephew. I'm here to ask you for your prayers and help as Andrew begins his brave journey to fight and BEAT Burkitt's Leukemia. Just three weeks ago, Melissa and Chris took Andrew to their pediatrician to diagnose and treat a lump on the side of his face. 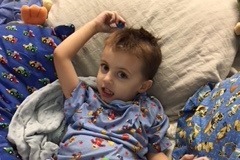 After two rounds of antibiotics and several stumped doctors, Andrew was admitted to the Children's Hospital of Philadelphia (CHOP). Days later, a battery of tests confirmed that he has stage four blood cancer. 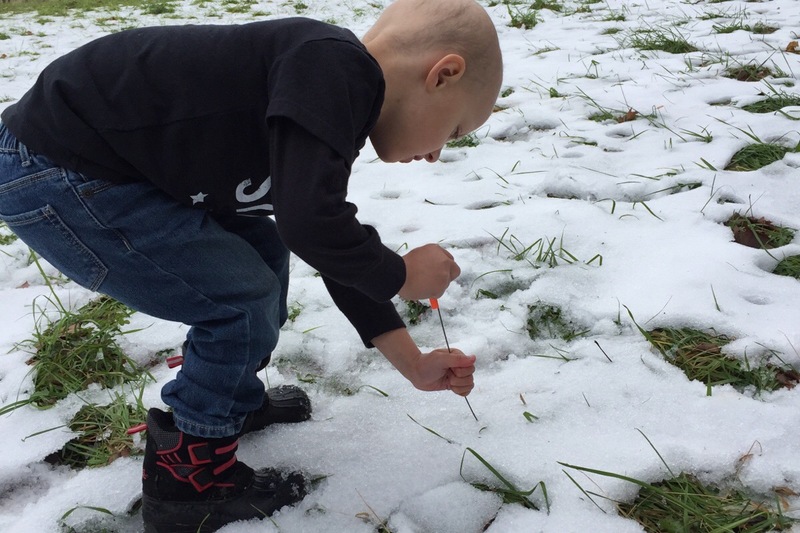 Andrew received the first of many upcoming chemo treatments on Friday, March 30. 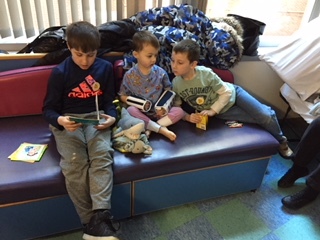 Because the cancer is aggressive, doctors have put him on a chemo treatment plan that will last six to eight months, with most of his time being spent at CHOP. We are optimistic that at the end of Andrew's journey, he will stand tall, proud, victorious and ready to continue his life as a survivor. In order for Melissa and Chris to provide the full time care and love so critical to Andrew's healing process, they need to work reduced hours, thus immediately foregoing their full time salaries for the duration of Andrew's treatment and recovery. To help them cover the lost wages and Andrew's increasing costs of medical care, I am kindly asking for your generosity. Every thought, prayer, positive vibe, and contribution will help Andrew stay strong and WIN. 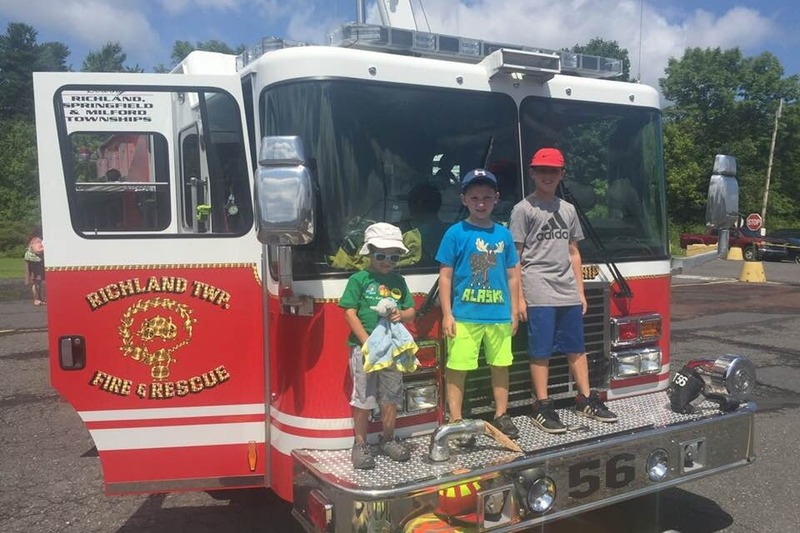 On behalf of the Trouts, Branyans, Tieders, and Andrew's extended family, I sincerely thank you for your show of support and standing by Melissa, Chris and Andrew's brothers, Conner (eight) and William (five) during this trying time. As they say, it takes a village, and in this case, #TeamAndrew. I'll be updating Andrew's gofundme page regularly so we can all keep track of his progress and cheer him on together. If there is a private message you would like me to send to Melissa, Chris, or Andrew, please feel free to do so by connecting with me here. 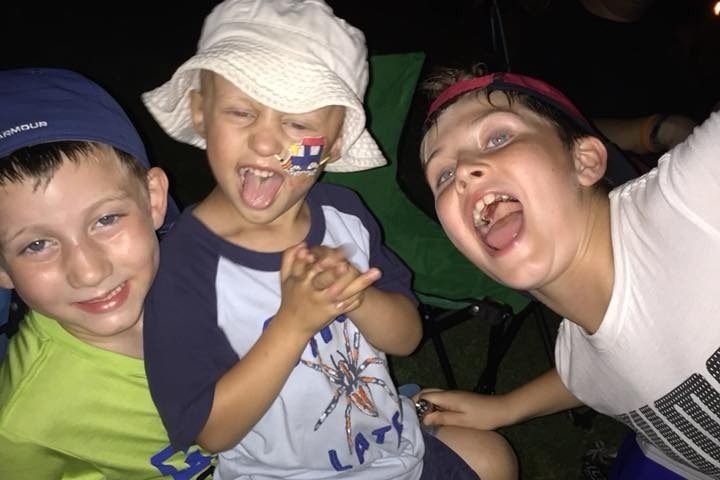 Andrew was SO exicted to see his brothers, Conner (left) & William (right)! Andrew WON! At the conclusion of chemotherapy, Andrew was declared cancer free!!! 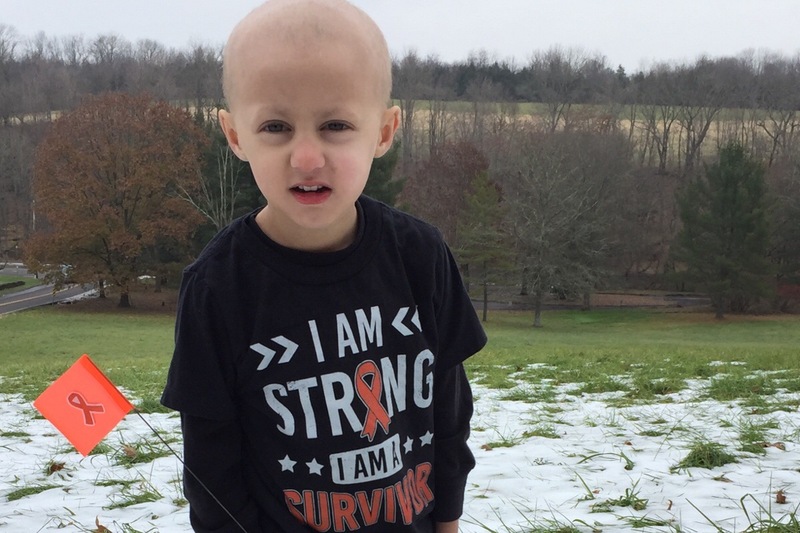 Stage four Burkitts Leukemia has been defeated by a small yet mighty three year old! How blessed we are to share this news with you. Of course, there are many next steps ahead such as specialized routine follow up and maintenance. Andrew had his chest port removed, marking to us the official end to his “special medicine”. His feeding tube came out as well as his appetite increased post-treatment. His cardiologists will likely ween him from his remaining heart medications in 2019 since his heart recovered from heart failure during septic shock in May. He is still a hairless hero, but we do see the beautiful stubbles making a come back. Chemotherapy (aka “special medicine”), blood transfusions, lengthy inpatient stays, frequent clinic visits, sleep deprivation, NG tube feedings, side effects...DONE. While his aggressive therapy is behind us, Andrew will march on - for the fight is never completely over. Please continue to pray that he remains in remission. Andrew is now on the survivorship journey and we pray it is a smooth road to travel. All we can do is hope and pray that he will live a long and healthy life as a Burkitts Leukemia survivor. At this intersection and milestone - we CELEBRATE. We celebrate restoration of health, his miraculous cure, and VICTORY over the battle with blood cancer. We also rest, and regain physical and emotional strength, now that the very intense treatment is complete. We would also like to take this opportunity to express gratitude. We will be forever thankful for Andrew’s amazing CHOP medical team. The oncology team, including Andrew’s beloved and dedicated Dr. Chelsea Kotch, helped us navigate Andrew’s chemotherapy plan and treatment. In May, the CHOP ICU team saved Andrew’s life during a horrific staph infection and septic shock. 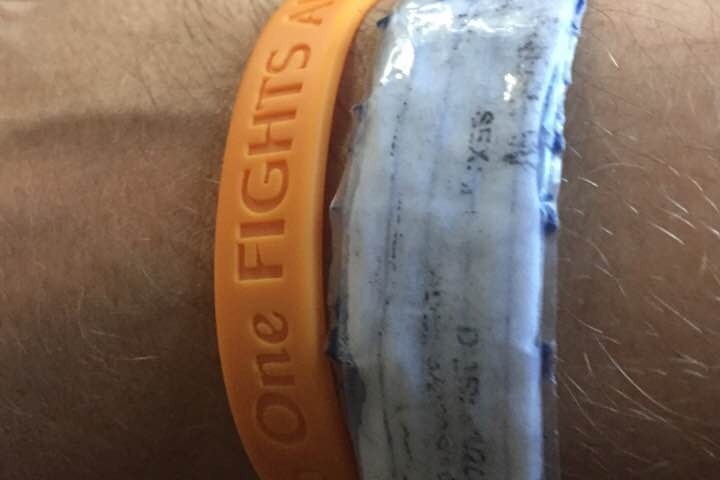 We also thank the countless supporters of Andrew - his friends, family, fellow cancer warriors, and even kind hearted strangers who gave of their time, resources, money, gifts, meals, positive thoughts, and prayers for Andrew’s recovery. We would NOT have been able to deal with this without our loving community. And we thank God and all of the heavenly spirits who strengthened Andrew and his family during our darkest moments. Please know we do not take this news for granted. We continue to think about and remember those who face or had a less fortunate outcome. We pray for strength, grace, and peace for these courageous fighters and their families. They will forever teach us and help us appreciate life so much more. Their heroic stories and lives have inspired and touched us in ways we can’t adequately describe. These warriors and their families are, hands down, the bravest and strongest of all. With the help of the loyal and amazing Team Andrew, we have reached the summit!!! We proudly wave our orange victory flag!!! Andrew has shown us great strength and resilience to LIVE to the fullest while teaching us to never take the gift of LIFE for granted. LIVE LIFE, and enjoy it. 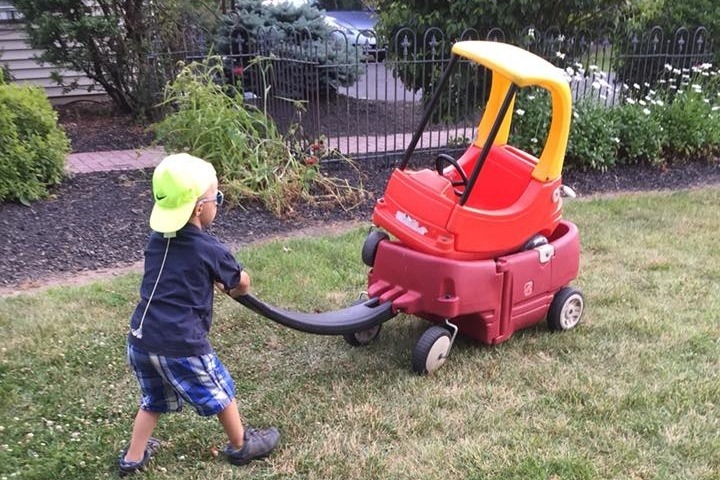 We were continually amazed how Andrew just wanted to play, have fun, and be a normal three year old through all of this. Nothing seemed to crush his spirit, no matter how physically beaten down he was. Well here we are at the top, eight months later. 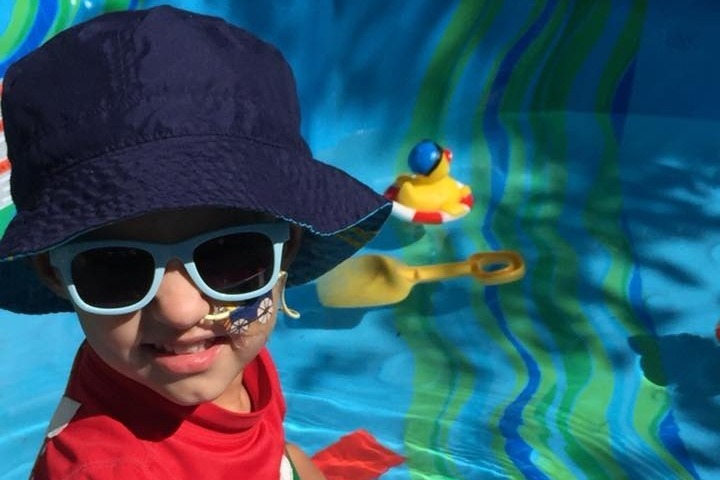 While mom and dad are ready to rest after his momentous climb, Andrew’s boundless energy and zest for life will remind us to celebrate the view from the top for a long, long time. I wanted to share an update on Andrew's journey, from Melissa. Thank you SO much for your continued prayers, thoughts and acts of support & encouragement. It's been one heck of a journey for Andrew, and your love has given the strength he needs to keep on fighting! THANK YOU!! On Thursday, we received an update on Andrew that flooded my eyes with happy tears. Melissa and Chris have said it best, so I wanted to share the news directly from them to you. As you may imagine, these past six months have been especially trying for Andrew, Melissa and Chris. Their hearts are full from your ongoing prayers, love and support. On their behalf, thank you for being the BEST army Andrew could ever ask for! 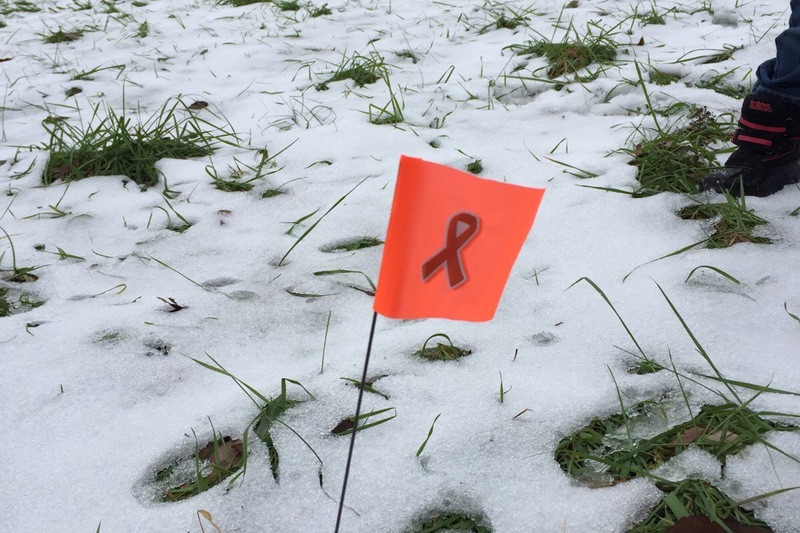 We are beyond excited to provide everyone with a GREAT update on Andrew’s battle with Burkitt’s Leukemia. Since his initial diagnosis and the initiation of chemotherapy on March 30th of this year Andrew has successfully completed four cycles of chemotherapy, overcoming much adversity along the way including a lung infection, staph infection, and a frightening episode of septic shock. Today we returned to CHOP to begin the second phase of his treatment plan. However this week marks a significant milestone - the completion of the induction and consolidation chemotherapy phases that are intended to destroy the cancer in his body. If successful, completion of these steps prepare him for the next chemotherapy phase that will hopefully rid him of any remnant of the disease that could be lingering in his body - ultimately to cure him. 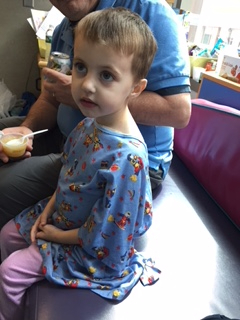 On Wednesday Andrew underwent extensive testing at CHOP to measure the success of the first phases of treatment. I’m ecstatic to report that today we received notice that the tests and imaging showed complete resolution of the cancerous masses in his body and bone marrow, and no further evidence of metabolically active disease i.e. no evidence of cancer! This is the BEST news we could receive from the oncologists. We remain hopeful we are closer to curing Andrew based on these excellent results. His little body has responded the best it could from these BIG miracle drugs. We also feel prayers and positive thoughts have been a huge part of his healing process so please keep them coming!!! 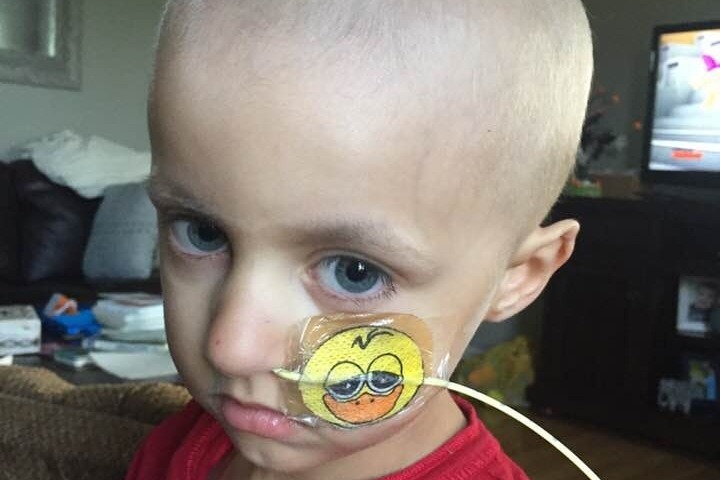 His remaining chemo plan remains unchanged since this is an extremely aggressive blood cancer. The team wants to continue the full-on attack of any remaining undetected microscopic cancer cells. We still have a long way to go to reach the finish line but the path just got a lot brighter! Thank you all for your continued support. Go Andrew! Go Andrew’s Army!